University of South Carolina Gamecock defensive end Jadeveon Clowney recently purchased $5 million in Professional Athlete Disability insurance. Clowney is a sophomore and expected to be the No. 1 pick in this year’s NFL draft if eligible. This purchase shows the world that Clowney is serious about his football career and is taking the appropriate steps to transfer into the NFL. What is Professional Athlete Disability Insurance? If you are a professional athlete then you know how devastating an injury can be. Because your profession is largely based on your physical performance, an injury can derail your entire career. An income intended to last for several years is instantly cut off, resulting in a financial catastrophe to you and your family. Please visit our Professional Athlete Disability page to learn more about these coverages and what they entail. How Do I Qualify for Professional Athlete Disability Insurance? Not everyone qualifies for professional athlete disability insurance. Unlike most insurance policies that any agent can sell to you, Professional Athlete Disability insurance is only offered to a select group of qualified athletes, or, as in Jadeveon Clowney’s case, select to-be professional athletes. To find out if you qualify for Professional Athlete Disability insurance, please call us at 800-622-7370. We Specialize in sports insurance and shop the entire marketplace on your behalf. Don’t gamble your livelihood or the financial survival of your team with an inferior program. 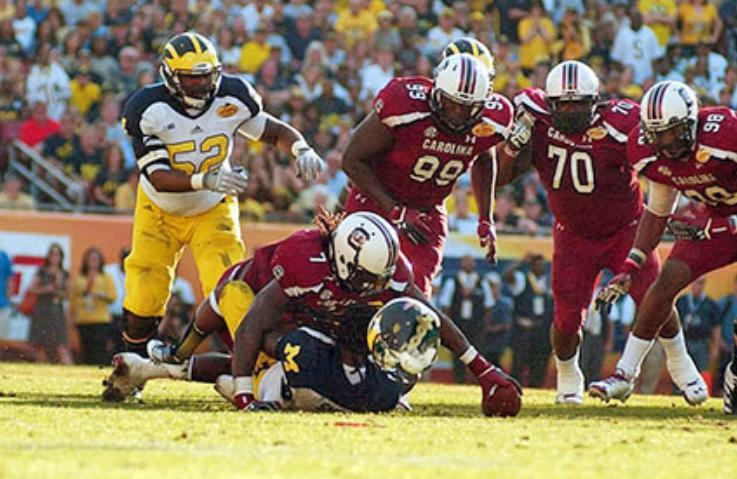 Source: Pete Iaconbelli, “South Carolina DE Clowney buys insurance policy,” wistv.com. Personal/Advertising Injury coverage under a General Liability policy for sports and recreation sanctioning/governing associations does not receive the attention it deserves. This is because the primary loss exposure arises from bodily injury or property damage. However, it is surprising how often associations are sued when Personal/Advertising injury is claimed. Personal/Advertising Injury applies to certain lawsuits alleging slander, libel, or disparagement of a person’s or organization’s goods, products, or services, and invasion of privacy, false arrest or imprisonment, malicious prosecution, wrongful eviction, the use of another’s advertising idea in your advertisement, or infringement of a copyright, trademark, or slogan in your advertisement. The definition of advertisement is “a notice that is broadcast or published to the general public or specific market segments about your goods, products, or services for the purpose of attracting customers or supporters. Notices that are published include material placed on the Internet or similar means of electronic communication. Regarding websites, only that part of a website that is about your goods, products or services for the purposes of attracting customers or supporters is considered an advertisement. Some notable exclusions include Personal/Advertising Injury from knowing violation of the rights of another, knowing oral or written publication of false material, criminal acts, assumption of liability normally belonging to another under a contract, breach of contract, failure of goods or services to conform with statement of quality or performance in your advertisement, wrong pricing description, and infringement of copyright, patent, trademark, or trade secret or other intellectual property. A slanderous statement made about a coach, umpire, or parent in the heat of competition. Criminal background check results are not kept confidential. Promotional materials for the sports organization, such as photos or videos, include the image of a member without permission. Publication of normal member-related newsletters, magazines, or website content for the purpose of promoting member services (falls under definition of “advertisement”). Providing open forum blogs, chat rooms, electronic bulletin boards where users can post potentially libelous comments. Advertising, broadcasting, publishing, telecasting, and designing websites on behalf of others that goes beyond normal membership services. Publishing material that is not part of the sports organization advertisement that infringes upon the copyright or trademark of others. Engaging in search engine optimization (SEO) techniques based on the use of competitor names or similar names in metatags or domain names. Due to the Personal/Advertising Injury exclusions listed above, sports and recreation organizations with operations that may fall under these excluded areas should seriously consider purchasing Cyber Liability and/or Media Liability insurance. In addition, some of the broader Directors & Officers Liability policies may include coverage for personal injury and publisher liability. One particular policy form offered by the Chubb Group of Insurance Companies defines publisher liability as infringement of copyright or trademark, unauthorized use of title, plagiarism or misappropriation of ideas. This is important protection because Directors & Officers policies provide the coverage grant of personal injury and publisher liability without most of the exclusions that are found under the General Liability policy. Of course, the addition of these enhancements under a Directors & Officers policy are not as broad as the coverages that can be obtained under a good Media Liability or Cyber Liability policy form. For more information on how to cover Personal/Advertising Injury exposures under a Cyber Liability policy, contact Sadler Sports & Recreation Insurance at 800-622-7370. Why Do Field/Facility Owners Require Being Named on Sports Insurance Policies? 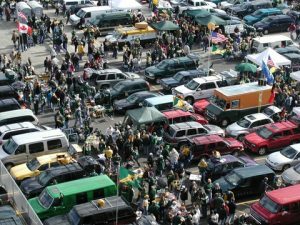 Field / facility owners such as recreation departments, school districts, schools, and municipalities often allow outside user groups to use their premises under a lease or permit. These relationships are beneficial to all parties involved. However, field / facility owners expose themselves and their insurance carriers to liability arising from injuries that may occur on the premises arising out of the lease or permit. This is true even though the injury may be due to the 100% negligence of the outside user group. Field / facility owners are almost always shot gunned into these lawsuits as a deep pocket even if they are 0% at fault. The defense costs and possibility of settlement or adverse jury verdict can be very expensive. This can result in unbudgeted out of pocket expenses (in event of self insurance or large deductible insurance program) or in a large loss that is paid by their insurance carrier. When these losses are paid by insurance carriers, such insurance carriers may non renew or may ask for large rate increases. Therefore, field / facility owners have a lot to lose when they make their premises available to outside user groups. It makes sense that the group that is responsible for the injury and resulting lawsuit should be financially responsible for paying the damages. Therefore, prudent field / facility owners require outside users to carry their own insurance that meets certain minimum standards that are drafted by risk managers or attorneys employed by the field / facility owner. Such insurance requirements specify the types of policies to be carried, minimum limits of coverage, and special coverage endorsements such as “Additional Insured” status for the premises owner. Requiring outside user groups to be financially responsible for their own injuries and lawsuits is a good business practice. Even high limit insurance is surprisingly affordable and easy to obtain when reputable sports insurance and event insurance specialists are contacted. I came across an excellent article entitled Insurance: Expecting the Unexpected on the sports insurance and risk management considerations of hosting a sporting event such as a marathon, triathlon, or walking event. The article is presented in a way that is easy for the layperson to understand and includes plenty of real life injury examples. The insurance coverages discussed include Accident, General Liability, Workers’ Compensation, Equipment, Business Auto, and Event Cancellation and Weather insurance. The risk management techniques discussed include participant waiver/release forms, collecting certificates of insurance from vendors, first aid stations, EMT, and review of contracts.